If you’re moving to Alaska, chances are you’ve heard there’s good fishing. A majority of the income made in Alaska is based off of the boats that spend hours catching. If you’re the proud owner of a boat, then I’m positive you’ve heard of the great fishing and more than likely extremely excited to get your boat out there. While figuring out the essentials like the home you’ll move into and how you’ll transport all your belongings is stressful, transporting your boat to Alaska doesn’t have to be. Secure Auto Transport has worked with a variety of people that needed to transport some type of vehicle. We make sure that every part of our team is an expert and portrays the professional core that we work for. Our services are some of the fastest, and most secure transport services in the nation, so you can rest assured that our team is able and ready to handle transporting your boat during the move. If you’re moving to Alaska for a fishing job, or if you’re just an avid fisher, the state that your boat remains in is important. This vehicle is an investment and more than likely, a big part of your life. Ensuring that your boat gets to Alaska safely is difficult when you have a home and belongings to worry about. Get this part of the move done quickly by scheduling a transport. People will tell you that the best way to handle the move is by selling your boat and buying a new one once you’ve relocated. That’s simply not the truth. The money that you’ve invested in your boat is valuable, and likely won’t be returned upon sale. And once you do move, you should know that any new boat is going to be costly and any used one doesn’t come with the guarantee of quality. Skip these concerns by letting us handle it. 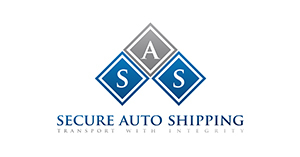 If you’re tired of having to deal with the shipping and transport of your life from one state to Alaska, let Secure Auto Shipping handle this. Our transport experts can handle all types and sizes of boats, so you don’t have to worry about the style you own. Contact our experts with the size and style, and we can provide you with a simple and speedy quote. It’s as simple as that. From there you can trust us to take your boat from one destination to the next.